Miter Line joins use regular angular vertices. 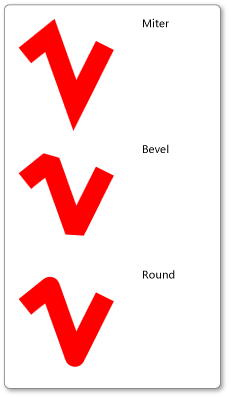 Bevel Line joins use beveled vertices. Round Line joins use rounded vertices. The following illustration shows the different line joins.